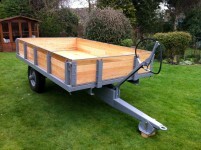 The 5 stud trailer was generally painted red with yellow wheels and was designed for hinged sides with rear corner posts that lift out as needed. 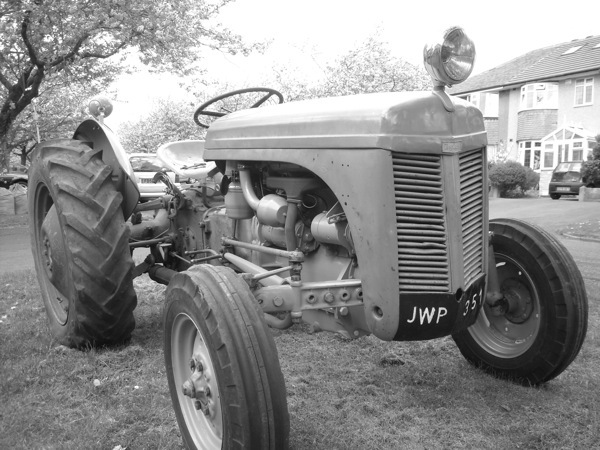 The front corner arrangement works on a similar principle to the 12 stud with a few changes. 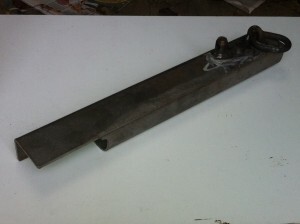 The trailer bed does not have sockets in the side rails for drop in posts, so is cheaper to make. 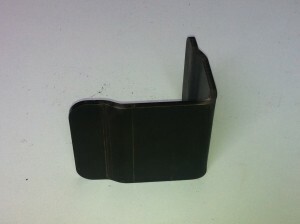 Corner post with attachment points (posts only, please see below for locating brackets). £62 per side. Specify LH or RH. 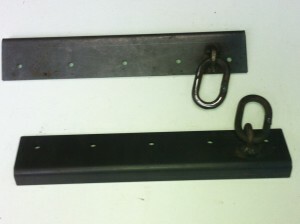 This includes chains, lynch-pins and connecting link for attaching to the hinged side. Corner post locating bracket. Welds on to the trailer bed. £12 each. Specify LH or RH. Front corner angle, bolts on to head board. 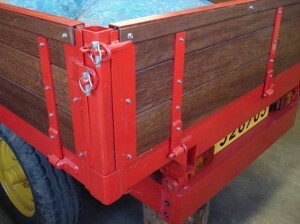 The chain link goes round a horizontal pin attached to the trailer side. £25 each. Specify LH or RH. 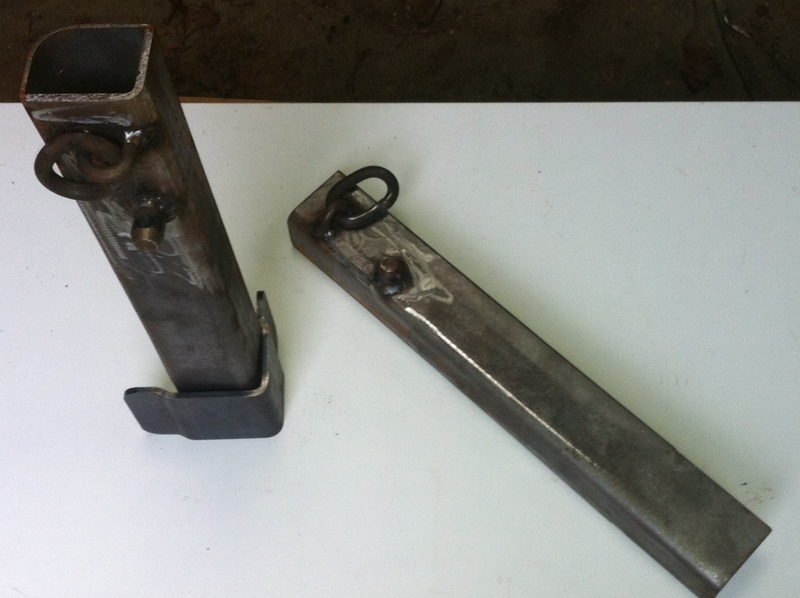 £14 for heavy-duty 1.25″ wide hinges. 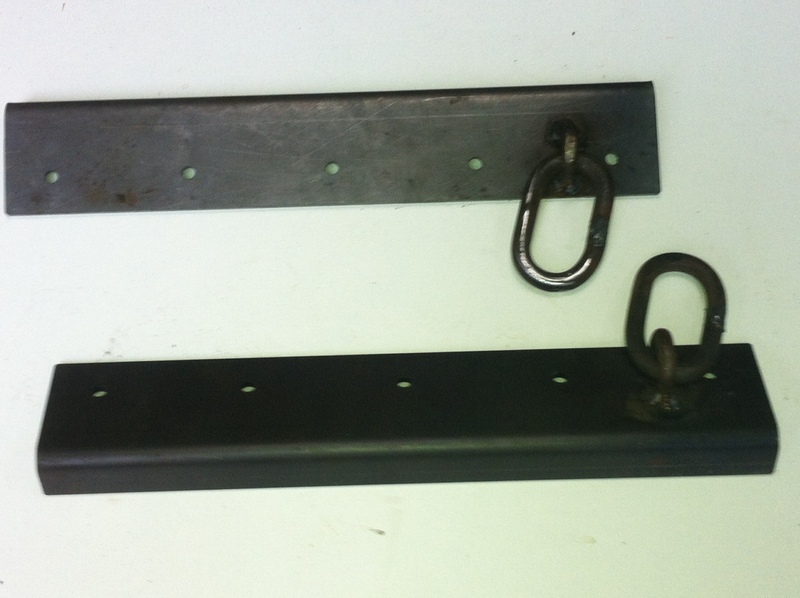 The 5 stud trailer uses the same capping strip as the 12 stud trailer on the top of the headboard. 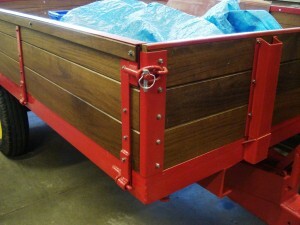 Side and tailgate are strengthened at the top with an extra wooden strip and a length of angle iron.